Physical space matters. It’s easier to be productive, creative and happy at work in a colorful, organic, and playful environment. The studio which is located in a quiet, peaceful and leafy neighborhood of Prabhat road, offers an ideal environment for indulging in creative processes. Ketan is an architect with more than 13 years experience after completing his Bachelors degree from University of Pune. He has a working experience with India’s Leading Architectural firms from various cities like Ahmedabad, Mumbai, and Pune. He started his career under the guidance of Iqbal Chaney and has worked with some of India’s leading architectural firms including Mathroo Architects and Space designers. He has worked on some of the prestigious projects such as The Rising Landscape, Yashada He is a registered architect with Council of Architecture and a member of the Indian Institute of Architects. 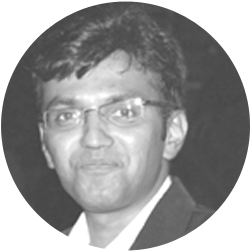 Mithil is an architect and urban designer with more than 11 years experience. Academically interested in a mix of design and research, one may consider his design approach as multicultural and multidisciplinary having worked on various project typologies ranging from interior design to urban regeneration projects in various countries like India, USA, Singapore, Italy, UK and Nigeria. 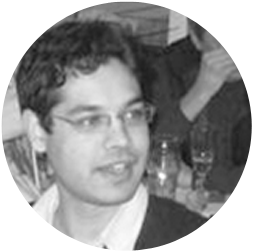 Mithil started his career with Brooks Murray Architects, in London and has worked on some of the prestigious projects such as Lagos Model City Plan, Glenrothes Township and Enfield Town Center Development. Functionality forms the core of our design philosophy. We follow the principle of ‘Form follows function’ since we believe that the client needs and the intended function should be given top most priority. Our dedication to functionality guides our thinking and sets our goals. We give importance to understanding client needs and addressing their specific requirements. We believe ‘less is more’. Our primary aim is achieving informed simplicity, as against gross simplification, in the designs as well as the process. We work very hard to achieve simple, uncomplicated, pure, elegant solutions that stand the test of time. This often makes the design process longer and more difficult. But distilling complex functions into their purest forms is our passion.erstanding client needs and addressing their specific requirements. We believe in designing experiences therefore we aim to bring art and beauty to every single element within the built environment. We never aim to design setting beauty as our ultimate goal. Functionality is never compromised for the sake of beauty. Our approach is based on honesty with an aesthetic that is generated as a result of the function or purpose, the immediate context, materials, techniques etc. therefore creating authentic, relevant and pure experiences..
We believe in learning from every project therefore creating opportunities for ourselves to create something ‘new’. Therefore we give primary importance to systematic design documentation process. We believe in delivering assured quality in time, no matter how difficult the problem. Therefore we diligently work towards achieving clarity and crispness in our document delivery process involving the client in every stage of development making the process 100% transparent.